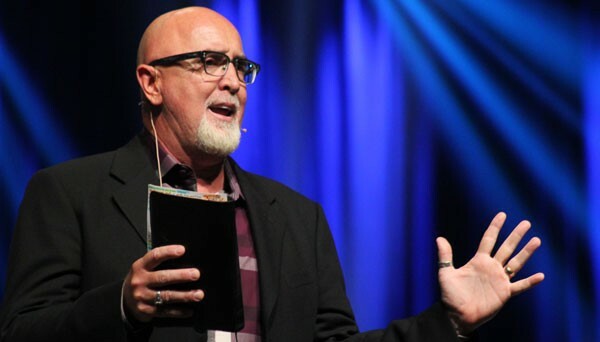 This post contains the lawsuit between James MacDonald of Harvest Bible Chapel and The Elephant’s Debt which was filed last week in Cook County Circuit Court. Feel free to discuss the lawsuit in the comments below. This blog is going to look at Harvest Bible Chapel for the next few days. In the meantime below you can read the lawsuit in a PDF format. I removed the addresses for the defendants as I wanted to protect their families privacy and not engage in any doxing. To The Elephant’s Debt its a better place with you guys being on the internet. In the end you will be fine. Feel free to discuss the lawsuit below. On the lawsuit pay close attention to section 129 to 131. It looks like Roys was going to publish a story that MacDonald feared coming out. I think the lawsuit is an attempt to silence and threaten critics. Make an Example of one and you silence a thousand. People also need to read the documents that HBC has now posted themselves http://www.harvestbiblechapel.org/2018/10/23/inthenews/ Do they realize that these documents will NOT help their defamation case? Among other things, the wording of statements and letters should raise questions about when the church knew about the youth pastor’s criminal activity and whether they actually reported to DCFS in January (and/or should have reported sooner). –why the actions are called “verbally inappropriate and broke the boundaries of a pastor/student relationship that is above reproach” but not criminal (or even sinful). –did not make mention of reporting to DCFS or other authorities. (This would be paramount in communication with parents). –did not express deep sorrow over employment of a man who was committing criminal acts. By contrast, if something like this happened at a school, the school would be as specific as permitted about the offense, express deep regret and sorrow, tell parents it had been reported to authorities, and detail measures/steps that will be taken to prevent something like that from happening again. Notably, on HBCs site, they call this letter “Sample Letter to Student Ministry Parents – sent to Rolling Meadows parents regarding compliant filed with DCFS/January 7, 2018”. Three observations: 1) The use of the word “sample” isn’t clear, 2) the letter itself doesn’t tell parents that the incident has been reported to DCFS (or to anyone), 3) there’s a slash before Jan 7, 2018 in the title of the document. That’s typical Harvest They’re trying to imply to the casual reader that it applies to the DCFS reporting, but it does not. Notably, on HBCs site, they call this letter “Sample Letter to Student Ministry Parents – sent to Rolling Meadows parents regarding compliant filed with DCFS/January 7, 2018”. Three observations: 1) The use of the word “sample” isn’t clear, 2) the letter itself doesn’t tell parents that the incident has been reported to DCFS (or to anyone), 3) there’s a slash before Jan 7, 2018 in the title of the document. That’s typical Harvest. They’re trying to imply to the casual reader that it applies to the DCFS reporting, but it does not. Thank you Ann for the links! We trust that our Lord will continue to expose the evil deeds of darkness that are ongoing at HBC. We continue in prayer for TED, Julie and families. May He grant strength, courage, joy, peace and the finances required to defend the truth. Harvest Bible is going to keep me busy. I am troubled by what I am hearing about the organization. Its like Mars Hill in Chicago with all the bullying, abuse and more.